Ae Dil Hai Mushkil 4th Day Collection 4 Days ADHM 1st Monday Box Office Business Report: Ae Dil Hai Mushkil movie had collected plenty of applauds from all over the India. The film had suffered a major setback on Diwali day. Despite having the festival on the day, because of month end, it suffered significantly. ADHM collection for Sunday was able to touch the mark of 17 crores on the biggest day for Bollywood movies. This was a great day where films had earned over 44 crores in a single day, and ADHM box office was not able to equate it to even 25% of Happy New Year. The movie was not even able to beat the other films released during the past years on Diwali day. Many of the big releases had done far better minting out the opportunity, but ADHM Collection was a big disappointment. As far as we have analyzed, there were two primary reasons which had affected these numbers. Movie release on Holiday: The film was released two days ago on holiday. People usually prefer watching the first day and first show. Moreover, the actual reviews start floating in after one or two days which decreases the overall potential. Most of the fans had already watched the film in last two days resulting nothing left for Diwali and subsequent days. Even on the Govardhan Puja, the entire market was cold. Month end: Since the past year it has been observed that during the month’s end, the situations in offices are tight resulting less occupancy in theaters. The last days of month keep most of the men busy in accounting work, and family audience faces a big cut off during these days. A major downfall in the potential audience was observed because of this. Moreover, its also a fact that after few days of release, frequent actual reviews of the movie starts floating in. Because of the reviews and serve criticism of Ranbir Kapoor going towards his consecutive 5th failure, audience avoided watching the film in theaters. 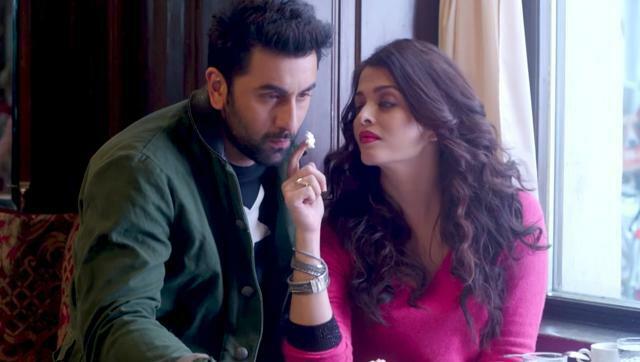 Ae Dil Hai Mushkil box office collection had been dropped a significant during the past three days, and no positive sign could be seen on Monday too when most of the people are on holiday for Govardhan Puja celebrations. The demand was very great, and it totaled to a fantastic business with many houseful shows in the metropolitan cities. The crowd of Dhanteras had somehow benefited the shows. The second day was strong for ADHM collection, but it faced a big downfall from various factors. Many theaters can’t run some shows because of low demand, mainly this type of behavior was observed in single screens. The film continues to stay strong on the multiplexes. A good crowd was seen during the night shows which had saved the sinking ship. Overall 35% occupancy was observed during the whole day, giving Ae Dil Ha Mushkil collections on second day somewhat similar to of the first day. The overseas reports of ADHM collection are better than anything. Film had collected 10 crores as weekend earnings in UAE-GCC only. This type of UAE-GCC could easily make us guess that the movie is going to mint out 50 crores as overseas box office earnings from the international market. On Monday, Ae Dil Hai Mushkil collection was not so good; film faced a number of difficulties. First of all occupancy was not high in theaters, second the Multiplexes were running less number of shows than before. Overall the movie can only earn 5 crores as a big disappointment for Karan Johar. wtf! !adhm has collected above 17cr approximately yesterday! !reporter what are you sniffing!! Shivay movies story is best compare to Adm . Karan moves is so boring.